Now that the warmer weather is upon us, it’s finally time to be out in the garden! If you don’t have much of a green thumb though, not to worry, today’s project is perfect for you! 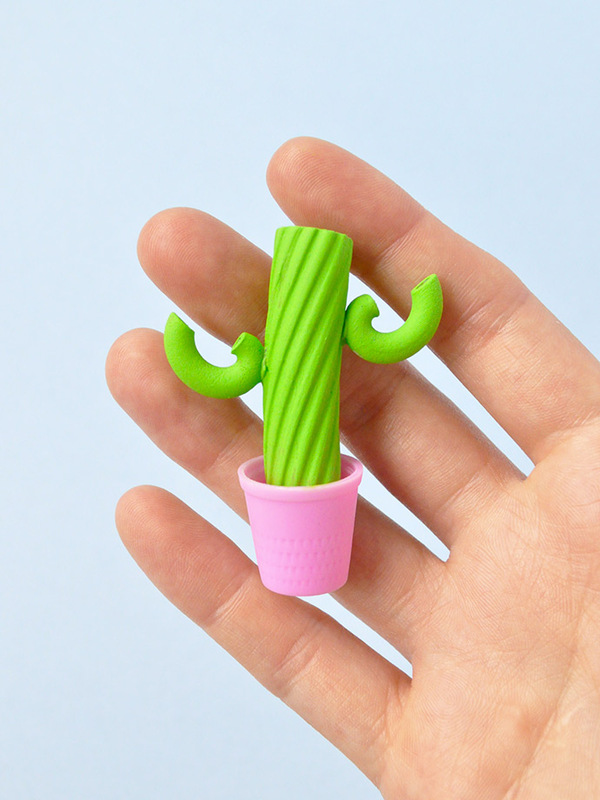 All you need is a handful of different kinds of pasta, some thimbles, a lick of green paint, and of course some handy hot glue. 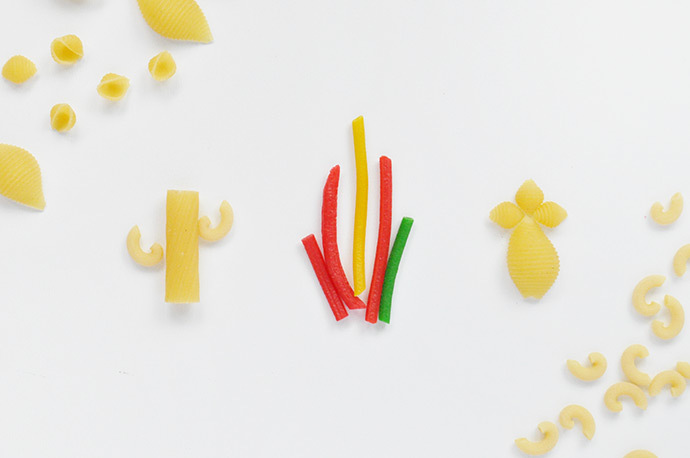 Since we’re huge fans of all pasta-related crafts, we have an ever-growing collection of “craft pasta” in lots of fun shapes. These plants actually don’t use anything too unusual – rigatoni, macaroni, thin pasta noodles, and two sizes of pasta shells are all we used! 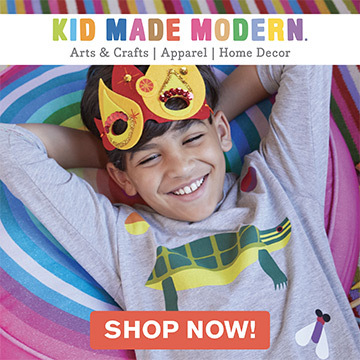 Take a good look through your cupboard (or craft room!) 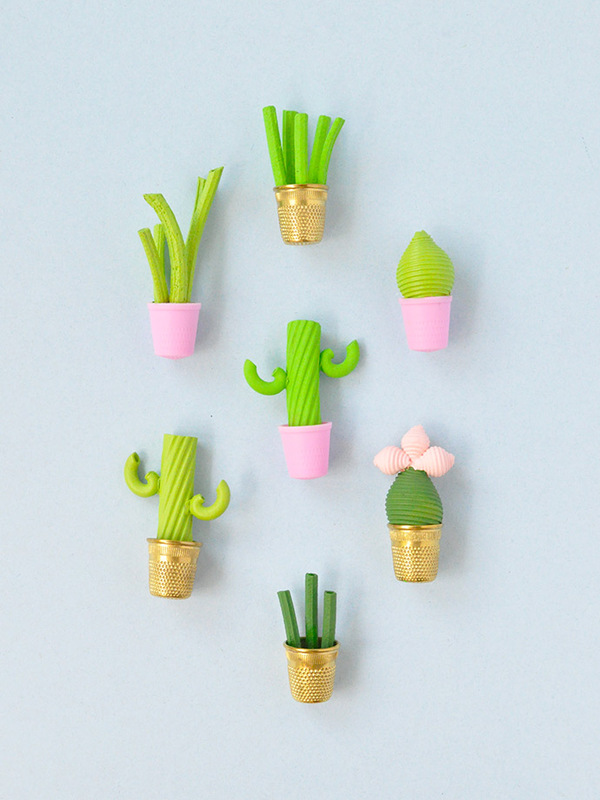 to see what shapes and sizes you have on hand and let your pasta inspire your mini plants. We used thimbles (leftover from another craft) to be the plant pots, but you can absolutely use small plastic lids or even paper glued into a roll if you prefer. 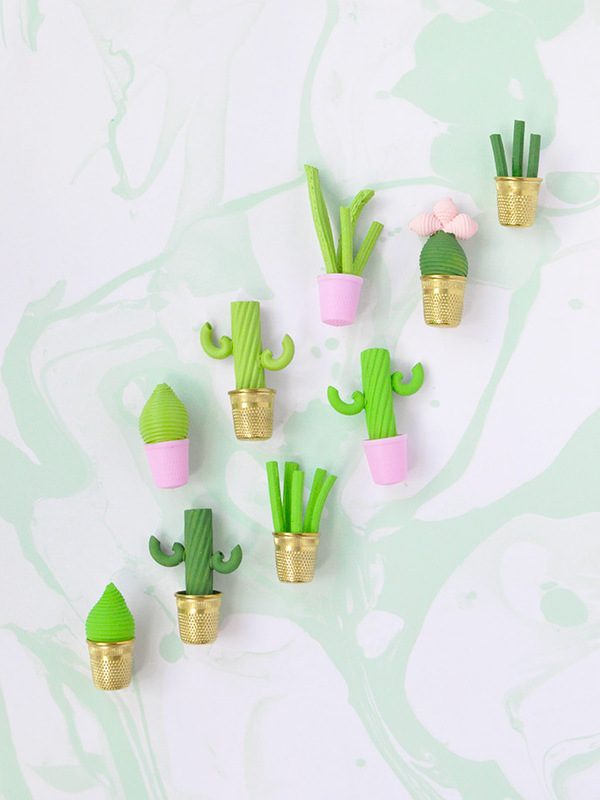 We had so much fun making these little guys and can’t wait to set them all in a row along the windowsill. 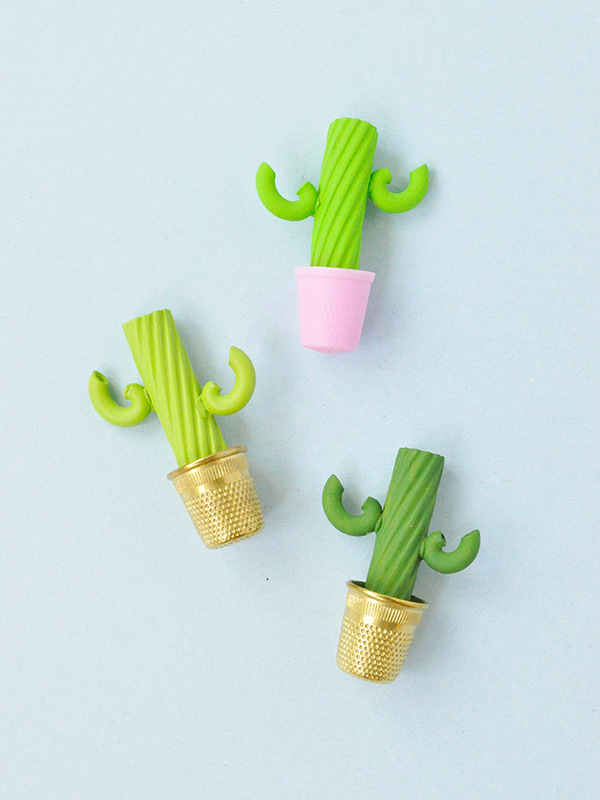 You could totally glue a pin-back onto the thimble and turn these babies into brooches! Or for kids who like to play with dollhouses, these are a great DIY option to make your own custom garden. If you’re looking for a few more pasta crafts to work on this summer, you have to take a look at these beautiful calla lily cake toppers made from campanelle pasta! And in case you missed it, we also have this adorable dancing daisy puppet video up on the blog too! Keep reading to see the full instructions below, as well as a few tips and tricks! 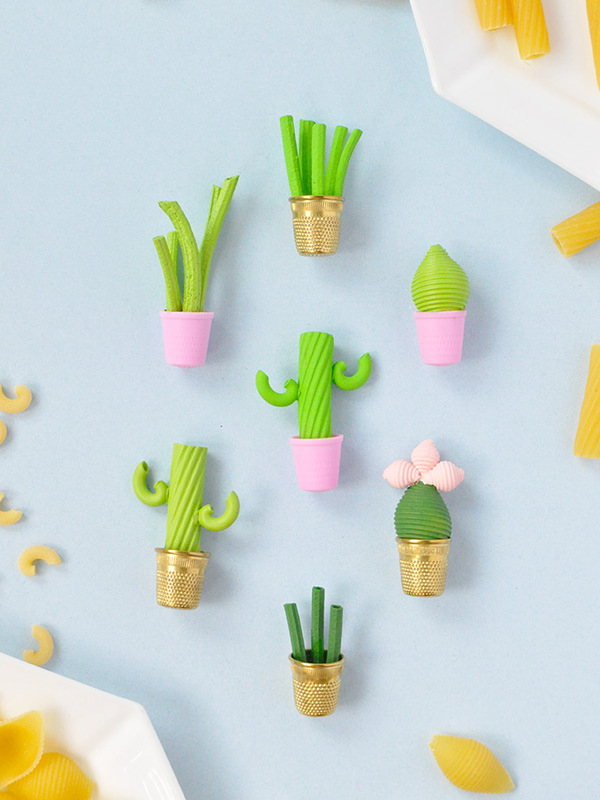 Arrange your pasta into mini plants! We made two different cacti and one grass-looking plant. 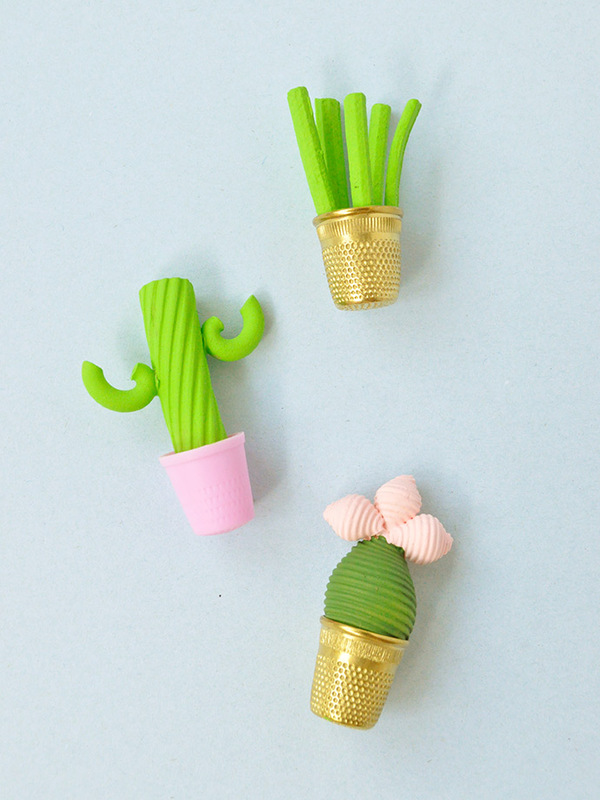 For the first cacti, we used rigatoni for the main body and then glued 1 macaroni on either side to be the cactus arms! For the other cacti we used 1 large pasta shell as the body and then glued a trio of mini shells on top to look like a flower blooming. Paint this flower pink (or whatever color you like!) and you can leave some of these cacti flower-less as well. For the grass-type plant, we just used 3-5 thin pasta noodles each, in varying lengths if possible. 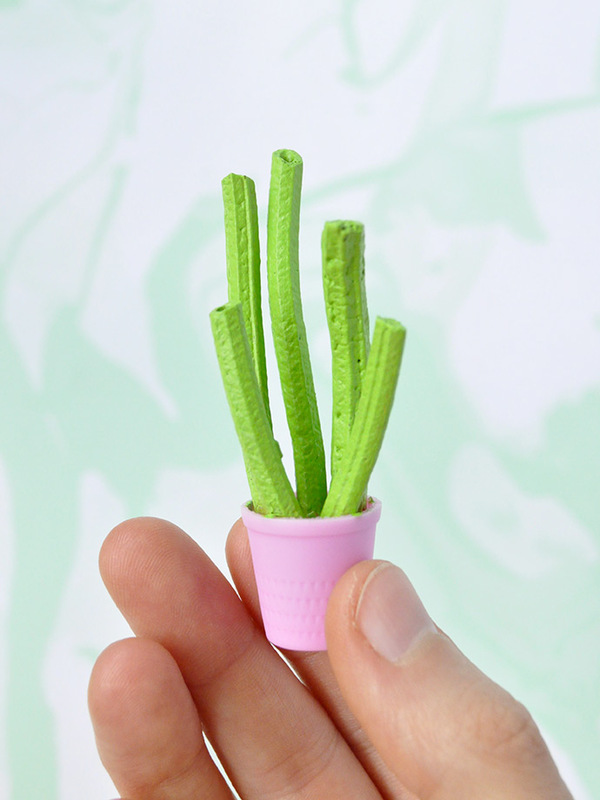 Use hot glue to assemble the plants and then glue them into their thimble pots. 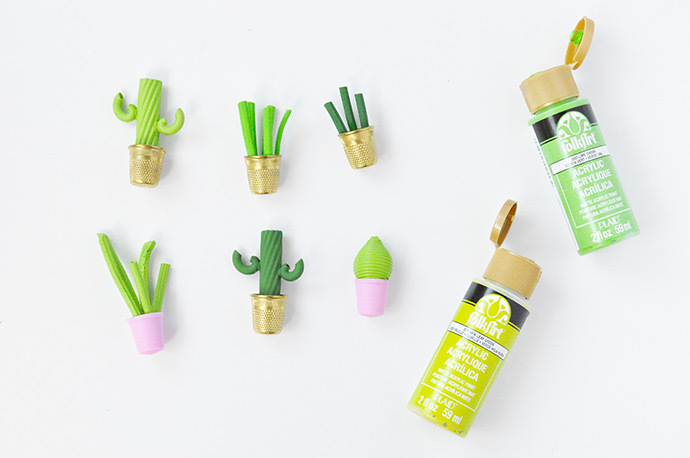 Use green paint to give them a coat of color – we used a few different shades so that our mini pasta plant garden would have a bit of variety! 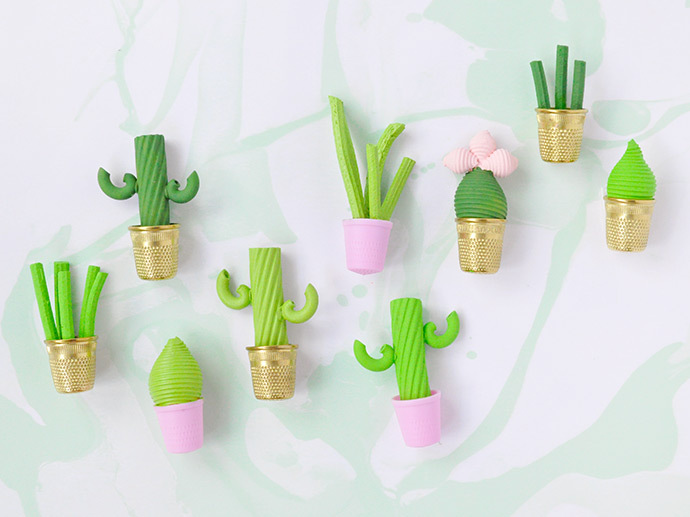 If you wanted to give them an even more handmade look, you could decorate the thimble plant pots with painted patterns, or use cord to tie a ribbon around it! As we described above, we made the blooming flower out of pasta shells, but super mini pompoms would work too!